I’m very happy to be a guest blogger because I can write about two things that are very important to me, Virginia Writers Club (VWC) and our annual VWC Symposium at Piedmont Virginia Community College on Saturday, August 3. I have the honor of being the president of VWC this year. This state-wide writers club has been around since 1915 and has ten chapters from Northern Virginia to Abingdon, from Charlottesville to Hampton Roads, from Manassas to Roanoke. Chapter members share their work, learn about writing and publishing, do book readings and signings, and listen to guest speakers on a variety of topics. Each chapter operates independently under the by-laws of the state organization. Our members are published, don’t-want-to-be-published and yet-to-be-published, which means we encourage everyone who loves writing, reading and the simple joy of words to join the club. Annually, VWC has two large events, the Symposium in Charlottesville the first Saturday in August, and the annual meeting the first Saturday in November in Richmond. This year’s keynote speaker for the annual meeting will be Virginia’s poet laureate, Sofia Starnes. We also support local writing events through grants and sponsorships. Lest I forget, we offer scholarships to deserving high school students who want to specialize in creative writing. As president, I get sneak peeks into what’s going on for the Symposium, changes we will phase in to provide value to our members and to promote the club at every public event I attend. I encourage members to contact me with new ideas to provide value and to make the club more accessible to writers all over the state. Not everyone lives near a chapter, so we have to design programs where remote writers feel included. This year’s Symposium, Navigating Your Writing Life, will give participants many how-to tips on publishing, using social media, turning manuscripts into e-books, publishing scams to avoid and other topics. When they leave the last event, participants will have at least one tool to use immediately. Use of such tools is not dependent on where you are in your writing career. Writers just starting out may want to build a resume through contests and submitting to various magazines. Poets will learn more about their market, as will writers of young adult fiction. A writer whose book is coming out next year needs to learn how to use social media to create a buzz prior to publication. We are so proud that our Symposium’s keynote speaker is Kathleen Grissom, featured in your recent blog post. 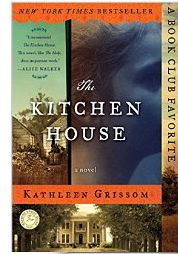 A New York Times best selling author, Grissom’s debut novel, The Kitchen House, spent more than thirty weeks on the NYT list and has sold over 500,000 copies in three years. 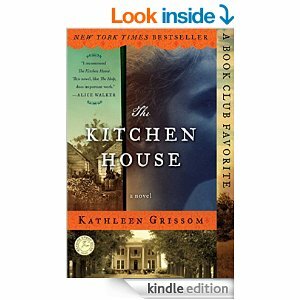 Ms. Grissom will be talking about how she turned her book into a best seller by word of mouth. She tapped into book clubs, speaking to local clubs and using Skype for more remote clubs. She offers book clubs questions to begin the conversation. 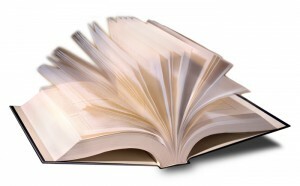 Hers is an inspiring story, one many writers can emulate if they are willing to work at marketing their books. For more information about Virginia Writers Club, visit their website www.virginiawritersclub.org.